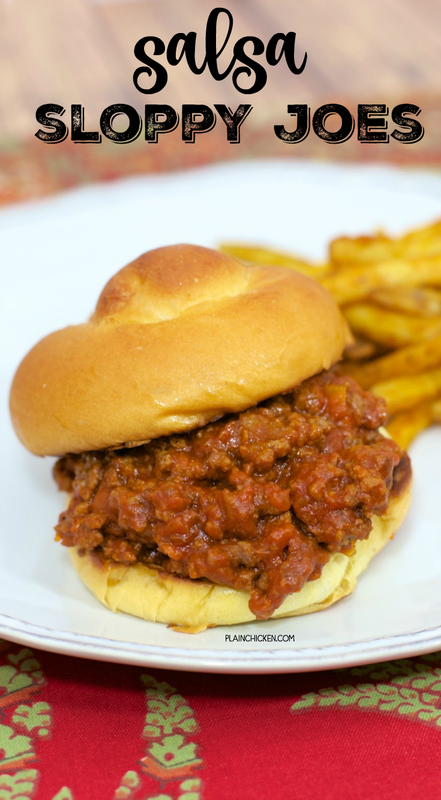 Chicken Legs loves Sloppy Joes. I am not a huge fan. I make them for him, but I haven't really found "the recipe" for me. Well, this might be it. I saw this recipe on Pinterest and traced the original back to Taste of Home. It was super quick and really delicious. I was had my concerns when I made this. I thought there was way too much liquid in the pan. I didn't give up on it. I let it simmer uncovered for about 10-15 minutes and it thickened up perfectly. 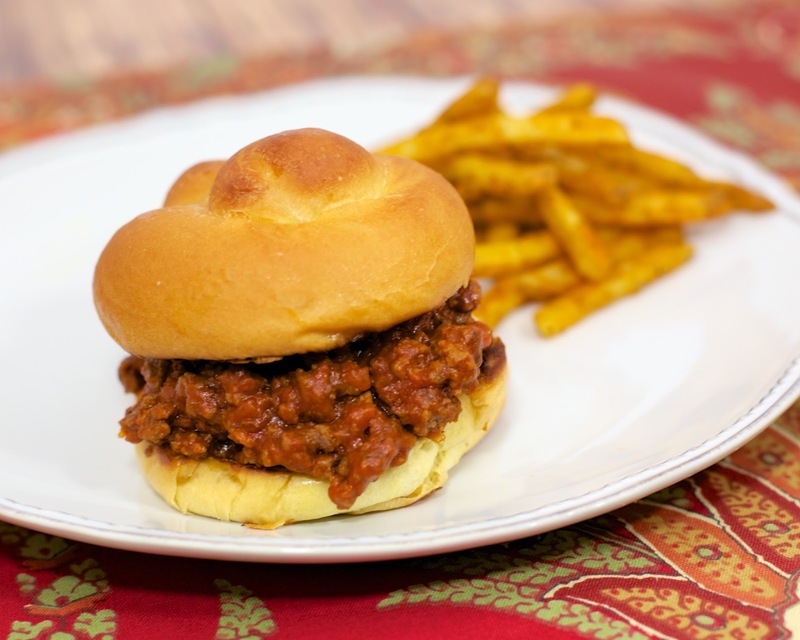 The level of heat in these Sloppy Joes will all depend on how hot the salsa is that you use. I used Trader Joe's salsa and this wasn't overly spicy. If you are sensitive to heat, be sure to use a mild salsa. In a large skillet, cook beef over medium heat until no longer pink; drain fat. Return meat to pan. Stir in salsa, soup and brown sugar. Reduce heat to medium and simmer for 10-15 minutes. Serve on buns. I think I'll do these as a wrap with some cheese. 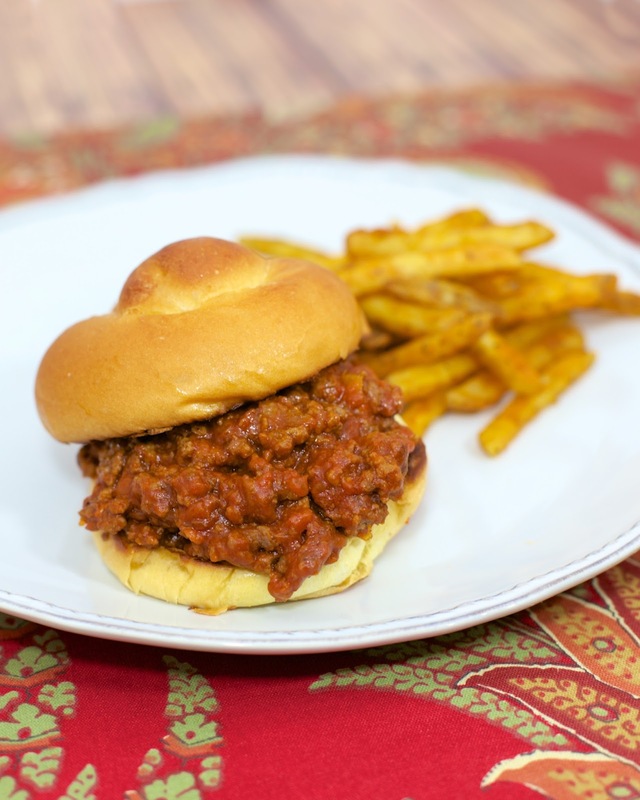 Just to change it up from normal Sloppy Joes. those are the frozen Checkers fries - they are my favorite!! Just made this for dinner tonite, yummy!! It was a little too saucy for my taste, so next time i will cut the salsa down to one cup, but definitely a keeper!